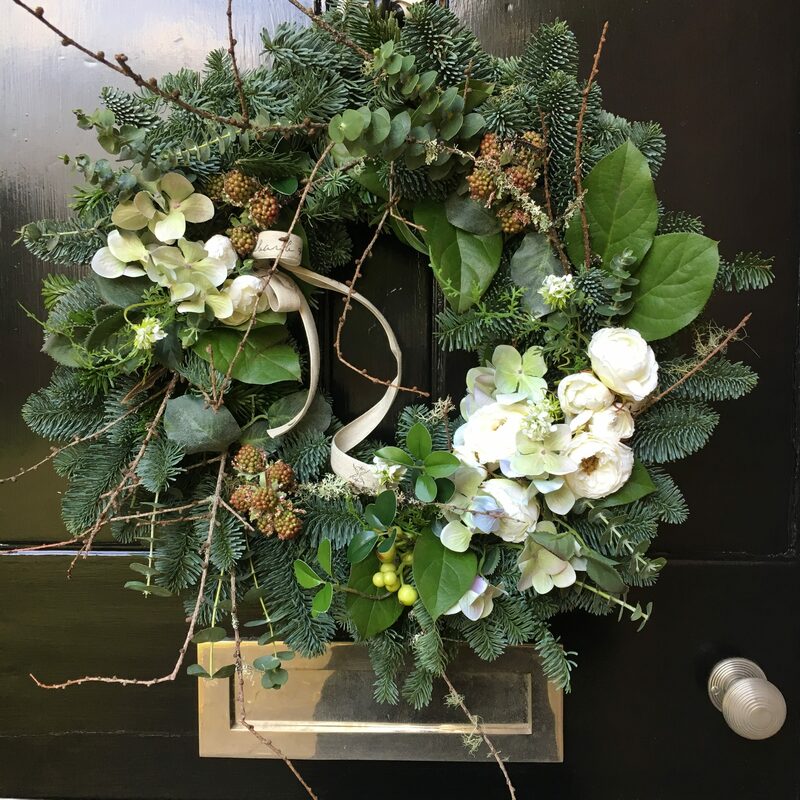 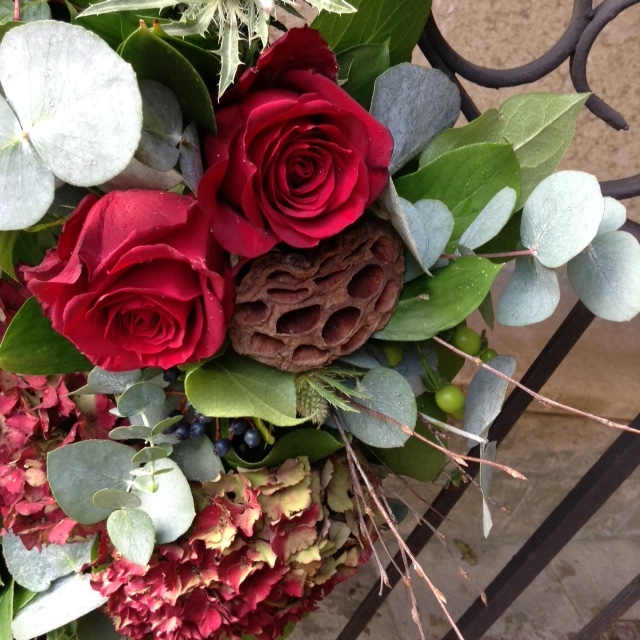 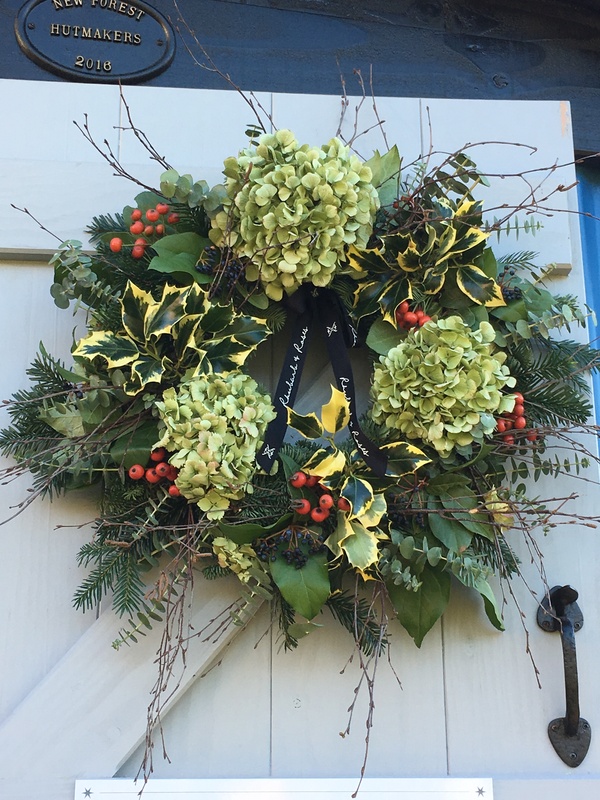 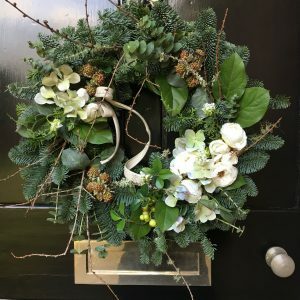 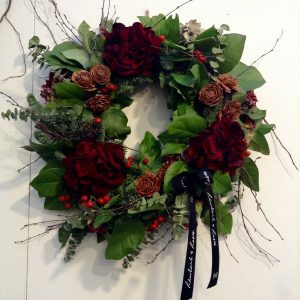 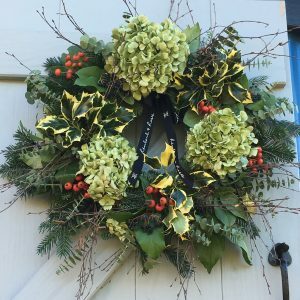 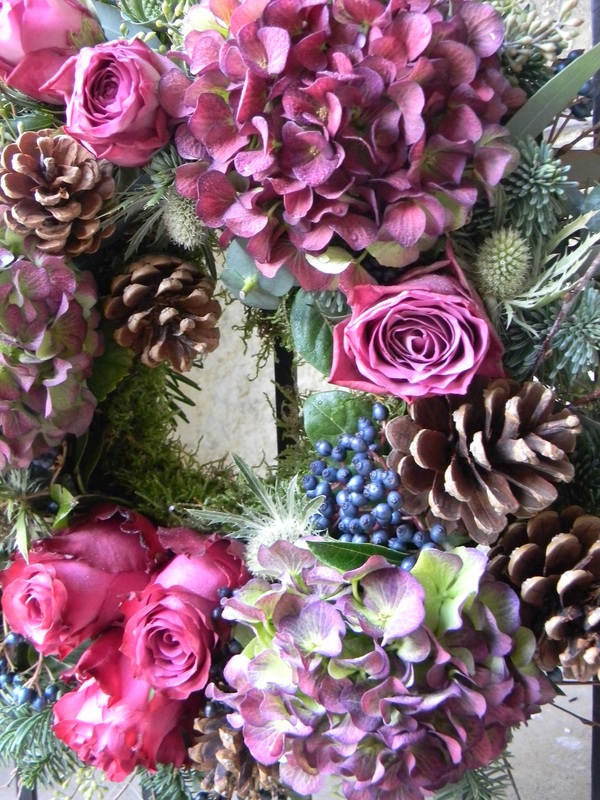 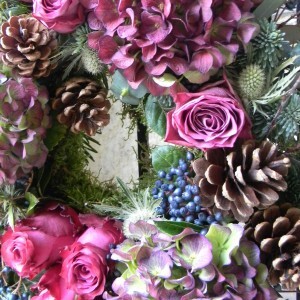 Enjoy creating your own large, elaborate and luxurious Christmas wreath to adorn your door in the Rhubarb & Roses style. 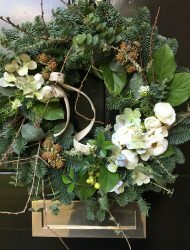 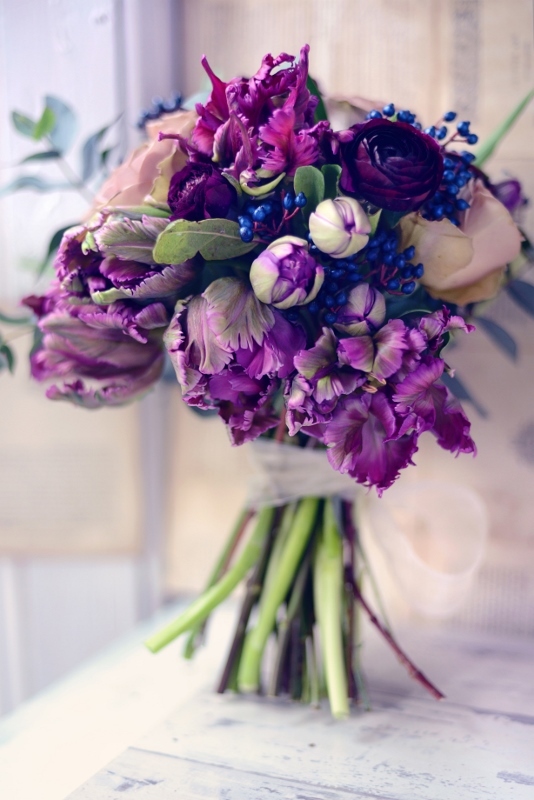 Perfect class for all levels – we are sure you will thoroughly enjoy the workshop and be proud of your design. 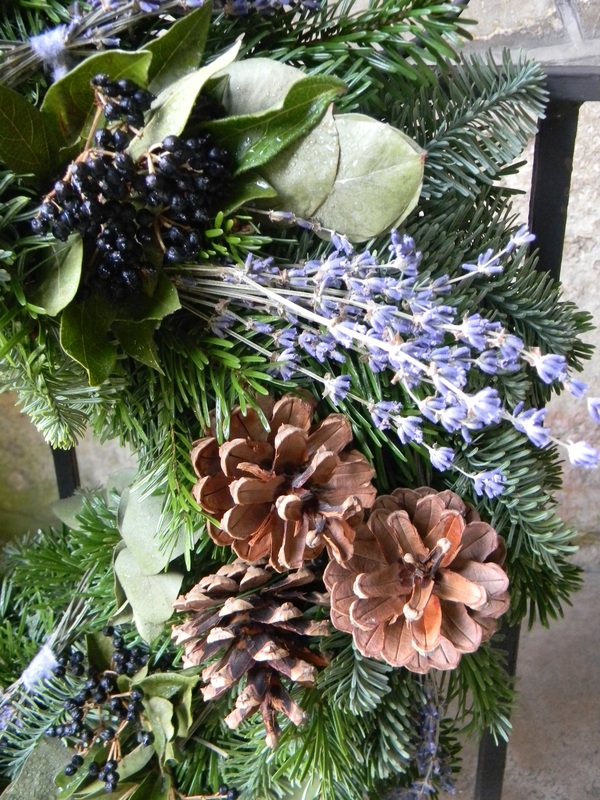 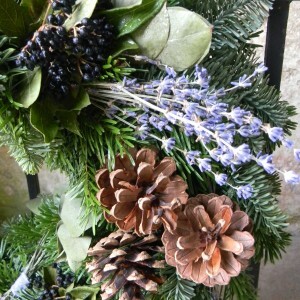 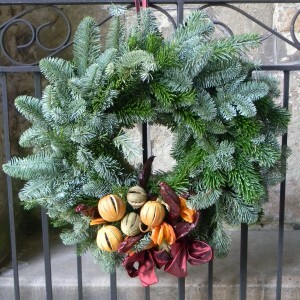 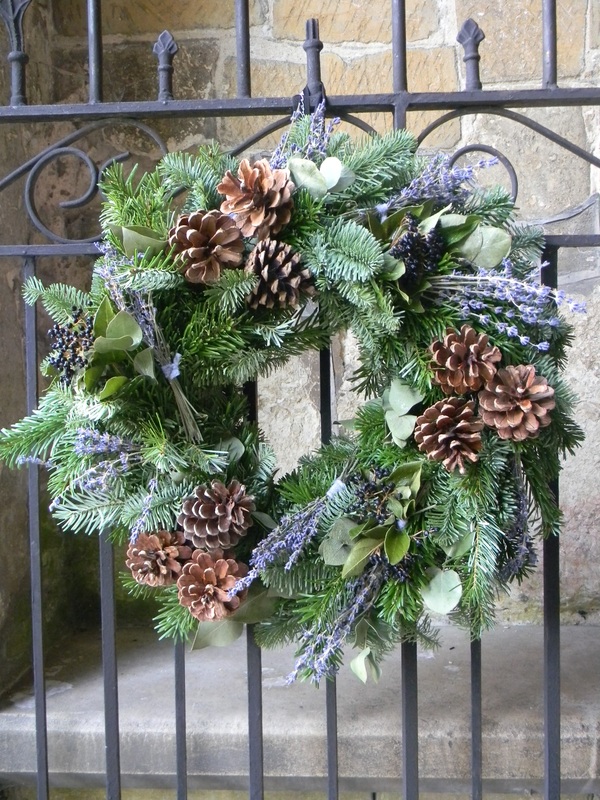 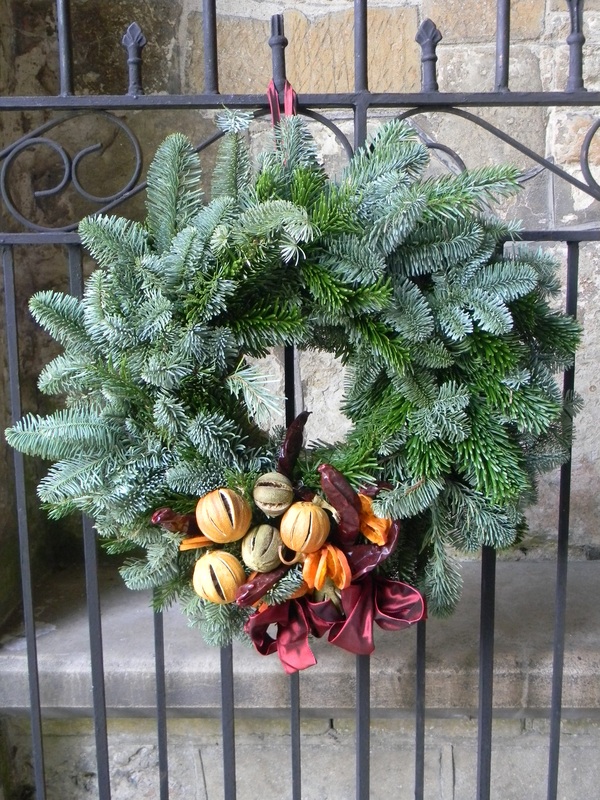 Lovely pine wreaths with foliage, twigs, decorations and beautiful ribbon. 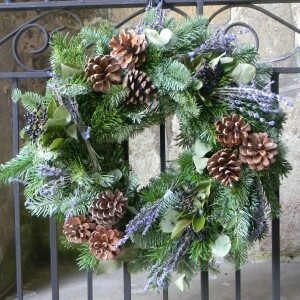 The course will take place in the beautiful Claydon Courtyard at Claydon House in Buckinghamshire.